Basingstoke, May 2nd, 2012 –Sony Europe, Professional Solutions is set to reveal a host of new products and solutions at IFSEC 2012, continuing its commitment to developing state-of-the-art HD video security solutions for a wide range of applications and budgets. Sony will be showcasing these new developments at its stand (Stand 4/J10 in Hall 4). The arrival of Sony’s‘IPELAENGINE’ marks a new era for video security, offering enhanced image capturing capabilities and an industry first 130dB wide dynamic range in full HD quality at 30 frames/second. The technology will be equipped into new video security products later this year and will build on Sony’s strong heritage of delivering solutions with state of the art image capturing and analytics technology. Sony’s ‘IPELA ENGINE' is capable of an Industry-First 130db Wide Dynamic Range in Full HD Quality and includes features such as View-DR, which provides pin-sharp images in extreme light conditions, XDNR, which creates clear images in low-light conditions through the detection and removal of noise within a single frame, DEPA analytics, an alarm detection function using image processing, and High Frame Rate, high-speed recording at 60-frames/second. All of these features are now seen as vital, taking the IP video surveillance industry “Beyond HD”. Following the launch of Sony’s Hybrid technology solutions at IFSEC 2011, Sony will be strengthening its positioning in that segment with a range of new products to complement its hybrid line-up. Demonstrating its ongoing commitment to the channel, Sony will also be promoting its dedicated partner programme – launched at IFSEC 2011,empowering its channel partners to capitalize on new opportunities for growth in the video security space, in line with current industry trends and demands. Partner and leading provider of physical security information management (PSIM), VidSys, will be alongside Sony at IFSEC this year, demonstratingthe integration and real-life application of Sony’s best-in-class security products via PSIM software. PSIM enables organizations to reduce operational costs and improve situation response times while reducing risks and increasing safety, security, and asset protection. Explaining Sony Professional’s premise at IFSEC 2012, Yu Kitamura, Strategic Marketing Manager, Sony Europe, Professional Solutions Europe commented: “IFSEC typically kicks off a new year in the video security industry, but with the arrival of the Sony IPELA ENGINE at the show, we’re kicking off an entirely new era. 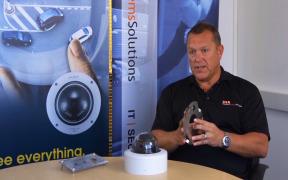 This technology is setting a new benchmark for image capture in the video security industry. http://www.sony.co.uk/biz/product/video-security. Sony will be at stand (Stand 4/J10 in Hall 4) at IFSEC 2012. You can keep up to date with all of the news from Sony by liking our Facebook page and following us on Twitter. At IFSEC this year, we showed you how video surveillance and monitoring in 4K delivers more detail and extra intelligence in cities, transport hubs, commercial and industrial environments. 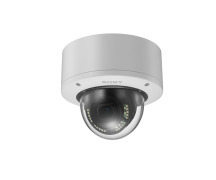 At IFSEC 2016, Sony will be showcasing its latest range of IP video solutions to show visitors how video surveillance and monitoring in 4K delivers more detail and extra intelligence in cities, transport hubs, commercial and industrial environments. Sony showcases cameras & solutions for every need and budget from entry-level cameras, to high-end specialist models for targeted applications.